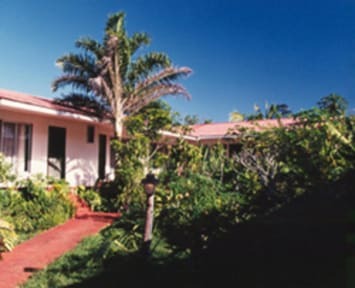 Accommodations consist of 12 charming and comfortable double rooms, with private baths, nice gardens, air conditioning, offering you a typical Rapa Nui hospitality and the opportunity to learn about our customs, culture, tradition and history in a fine atmosphere. 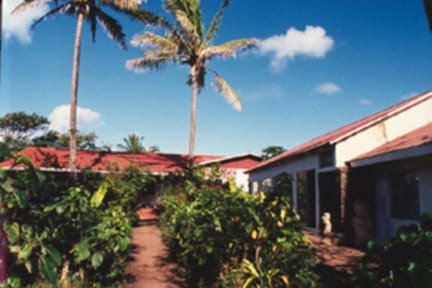 Our restaurant has capacity for 80 persons and enjoys the best reputation in the island with delicious meals in Polynesian and international styles. (*). 20% discount for registered guests only. The island is over 2,200 miles from the nearest population center with connecting flights from mainland Chile or Tahiti. The mistery of the famous stone statues, known as Moai is the main legacy of this ancient Rapa Nui culture.